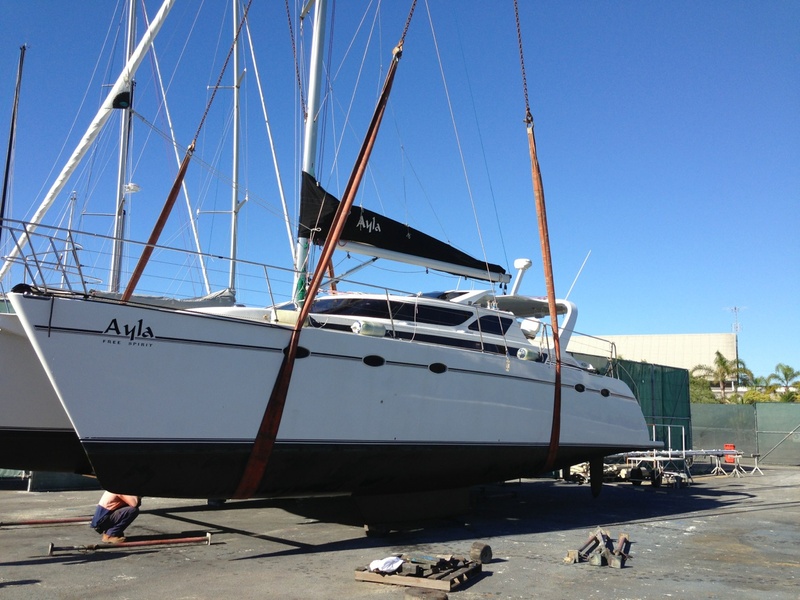 Ayla was lifted out by crane lift. 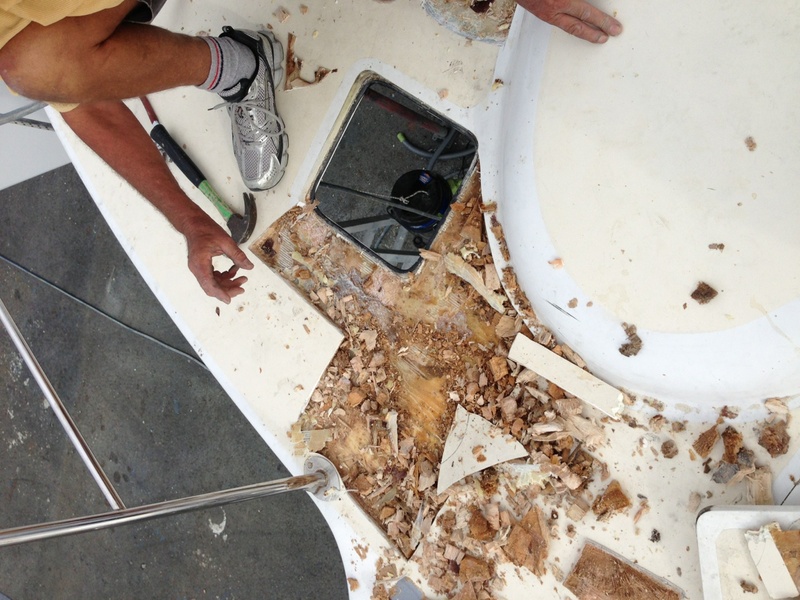 After survey it was established there was extensive rot in the duracore composite which was caused from leaks around the fittings. 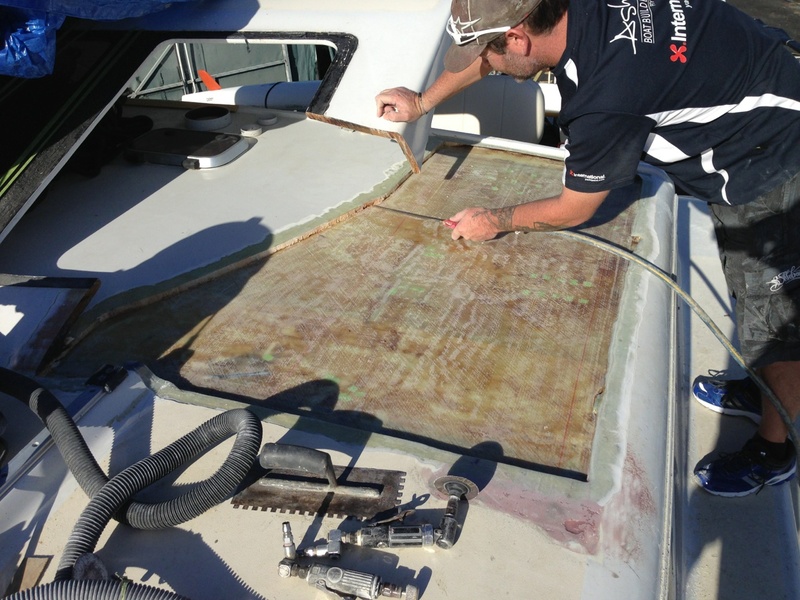 We repaired all rotten areas, replacing the duracore composite and sealing with double bias fibreglass using epoxy resin. 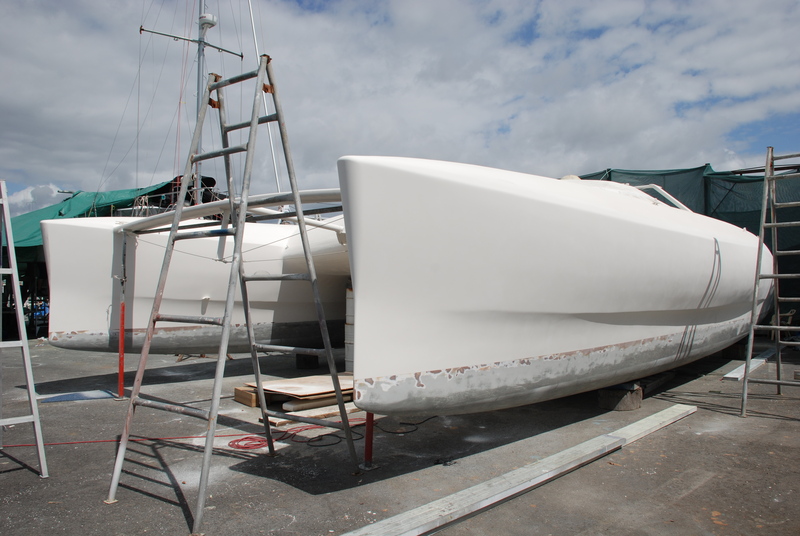 Whilst out Ayla recieved a full overhaul including a full paint job using 2 pack polyurethane AWL Grip topcoats and international anitfouling system. 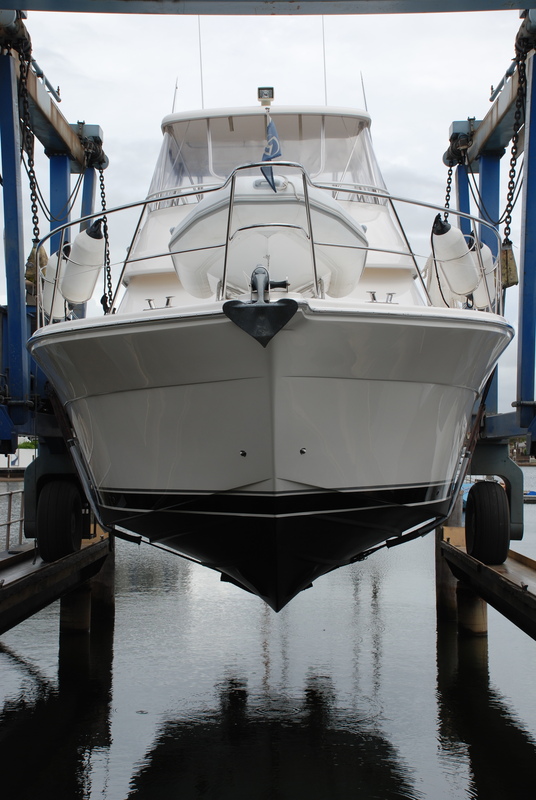 We replaced all skin fittings, stern seals and a major service on the motors. 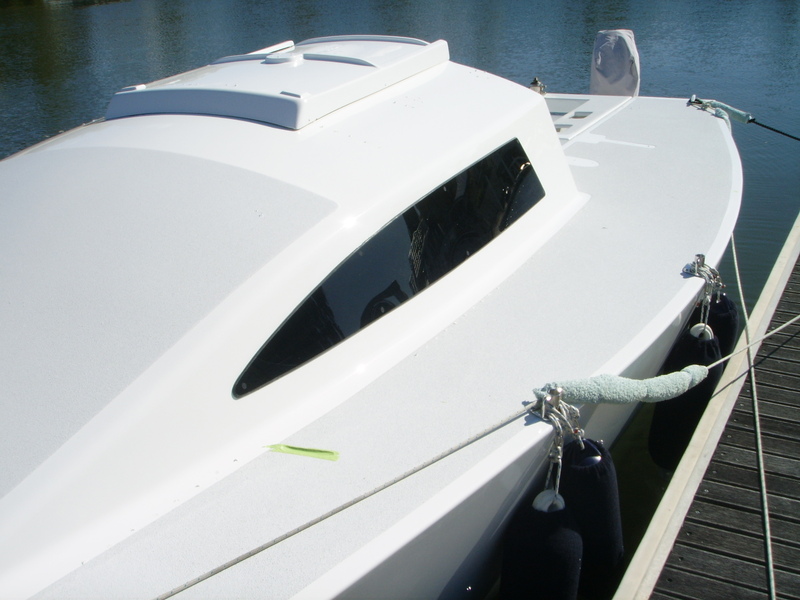 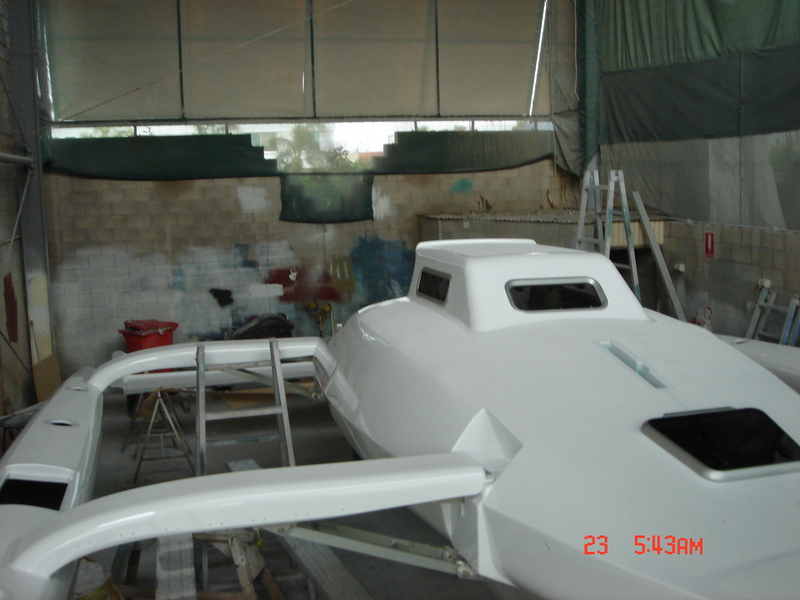 The Farrier 28 was constructed using sandwich foam composite using polyesther resins. 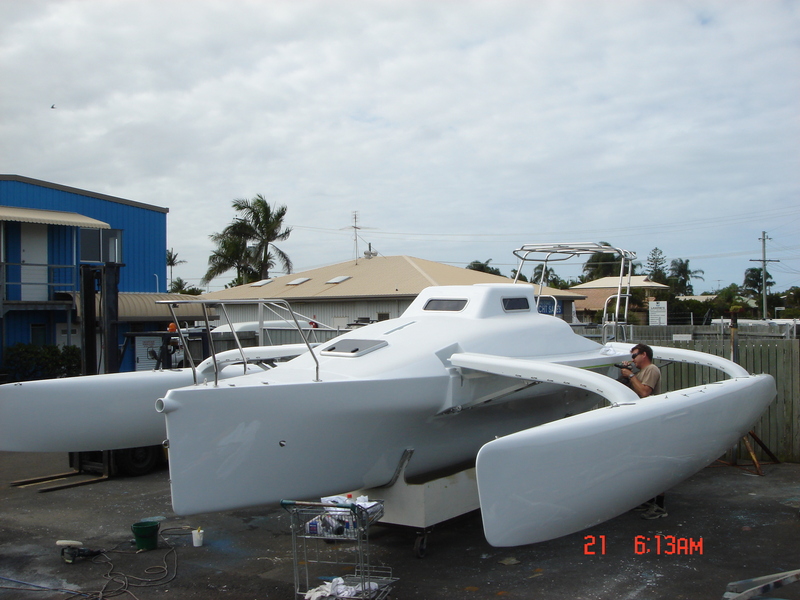 The build included next takeoffs transome and custom side catwalks. 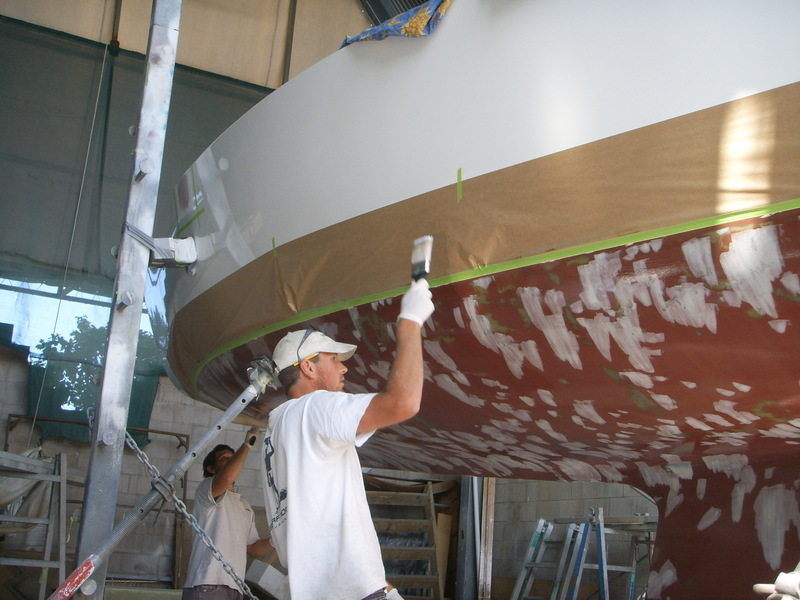 AWL Grip paint systems were used for this job leaving the owner wrapped in the amazing topcoat finish. 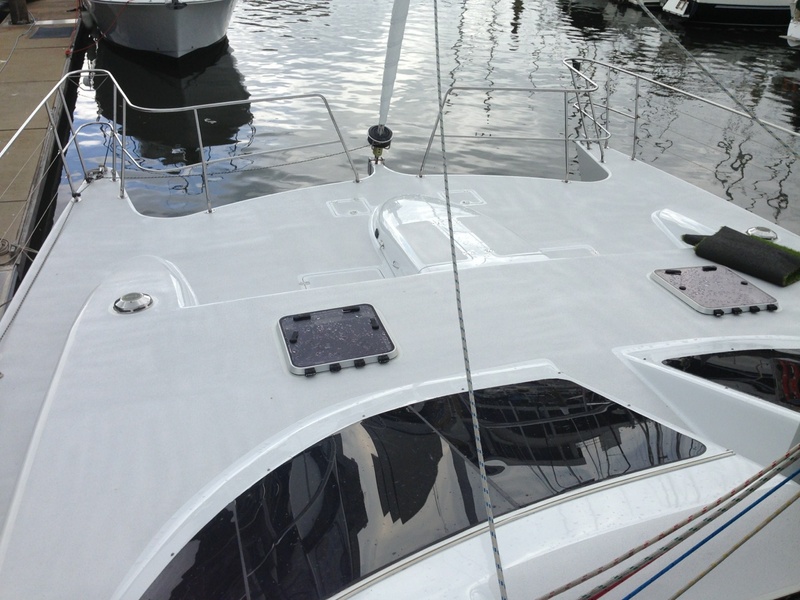 We made a custom stainless targa and bowrail and we used Lewmar hatches and portholes. 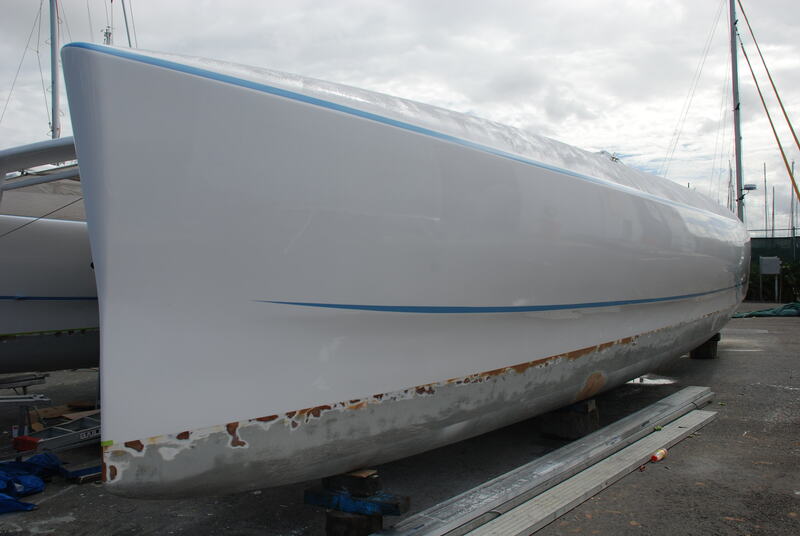 Incredible was lifted for survey and found to have extensive osmosis blisters through the outer skin of the polyesther hull. 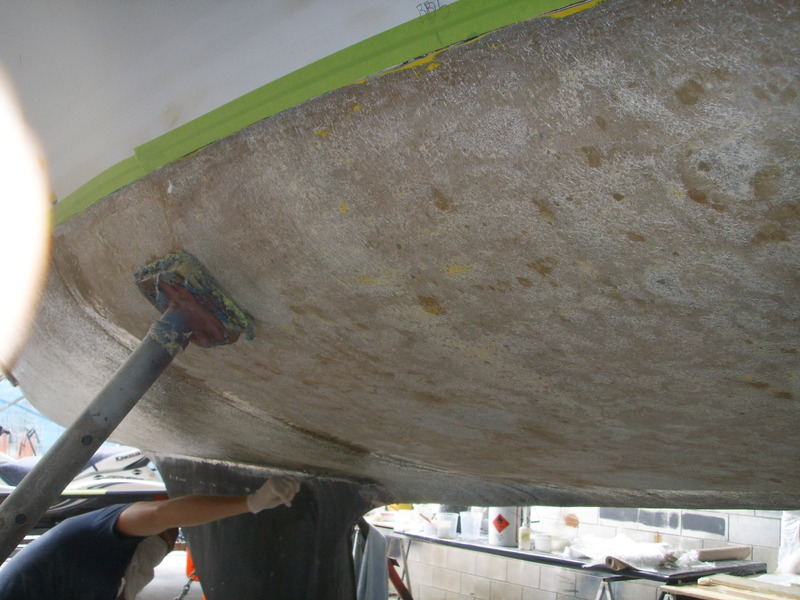 The hull was completey peeled back using our fibreglass specific peeler to remove any fibreglass that was effected from the osmosis. 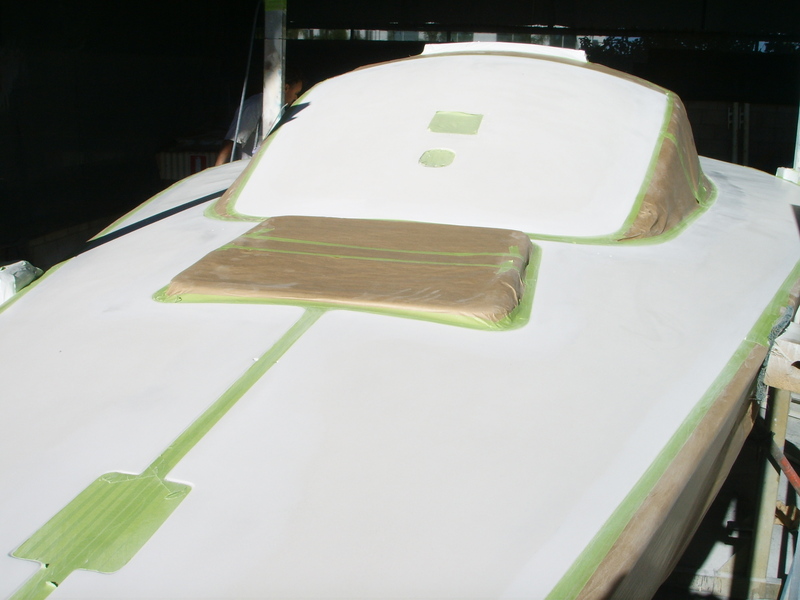 Two layers of 450gsm chopped strand fibreglass where then applied to the hull using vinyl esther resin to maintain the hull integrity. 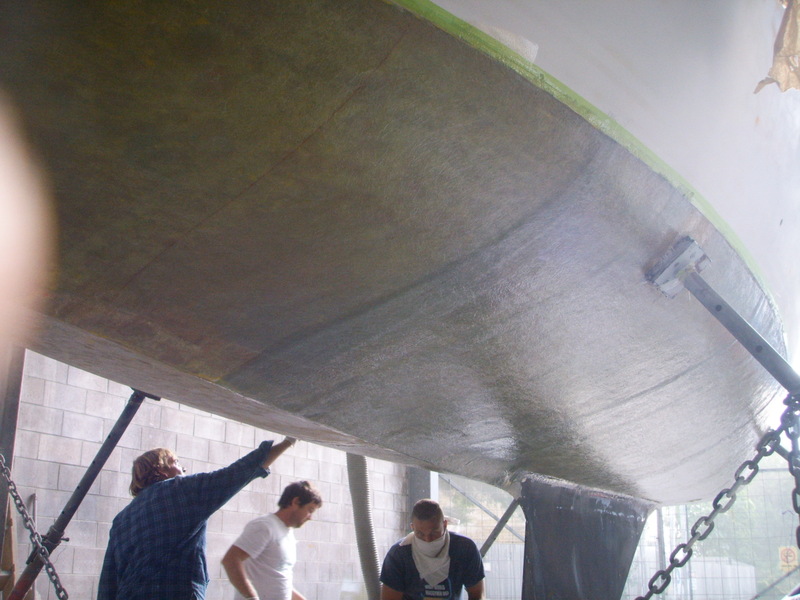 This was then faired using epoxy resin and microballoons and then coated in epoxy resin and ep primer to ensure a complete sealing finish. 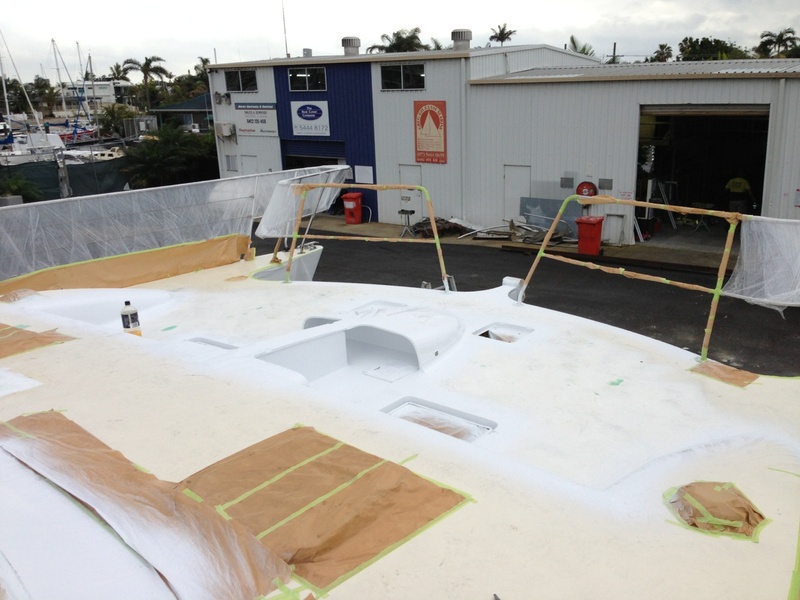 We also completed a full respray on the topsides, deck and cabin using premium 2 pack polyurethane coatings. 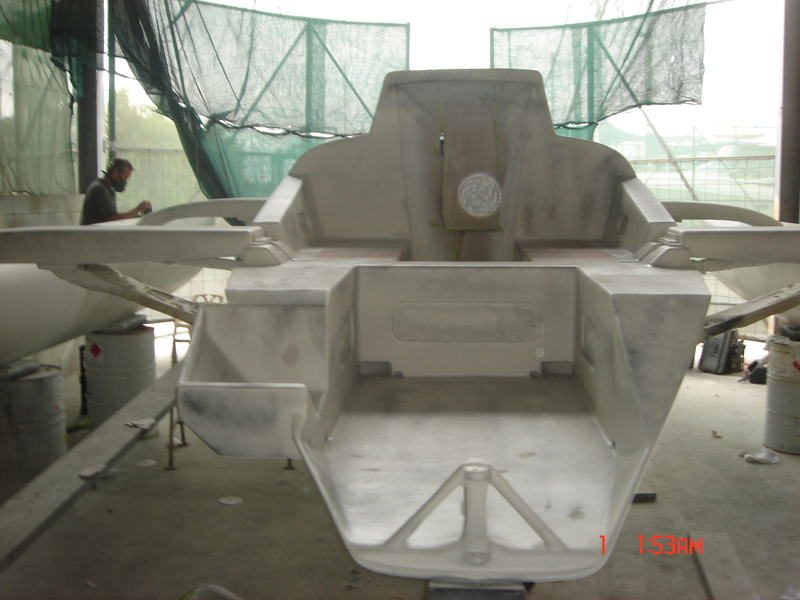 Trax was a job where we finished for the client as he was unable to do so due to injury. 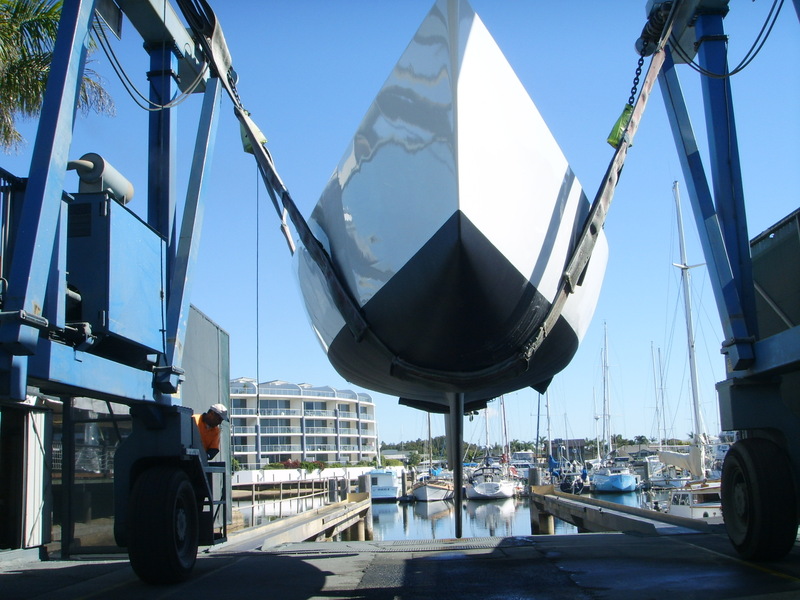 For this job we reinforced structural fibreglass including deck areas, transome and forebeam. 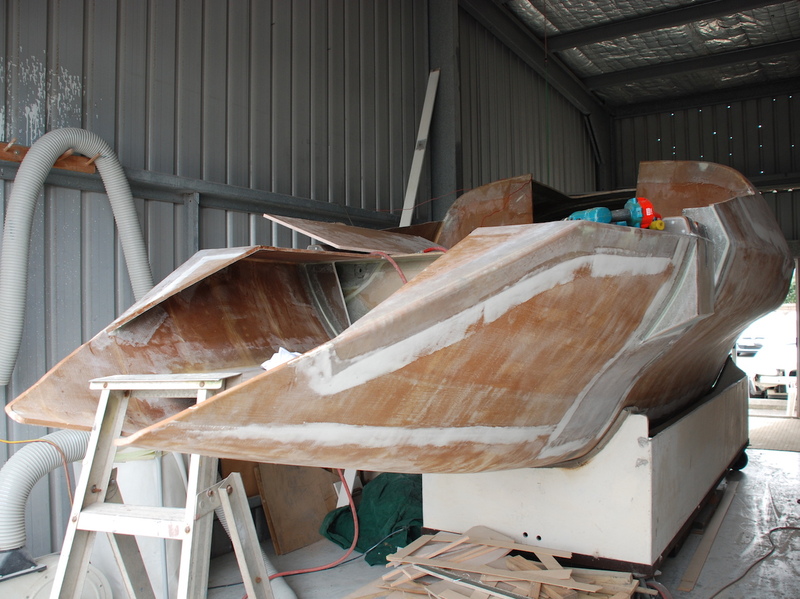 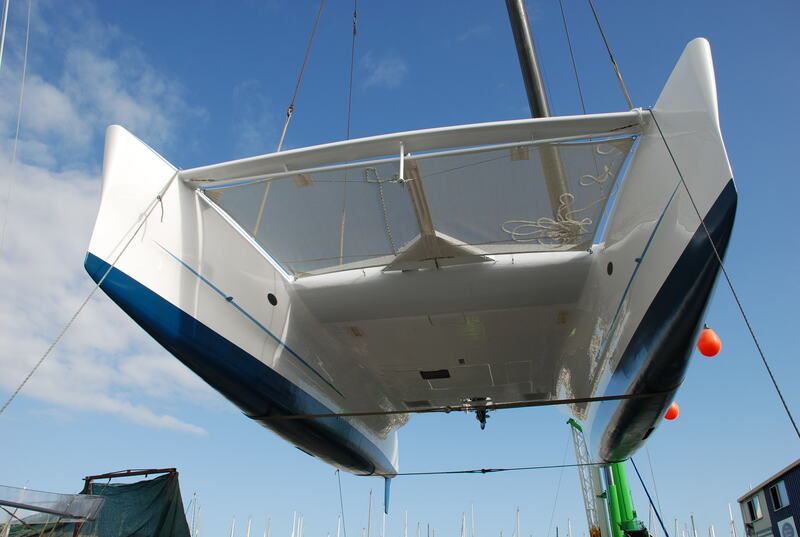 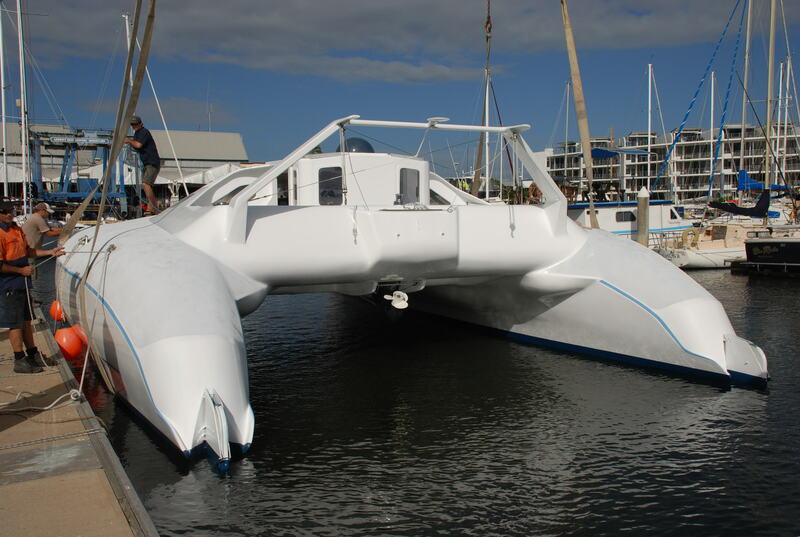 The hulls needed to fairing which was done using epoxy resin and microballoons, which were then sealed with epoxy hi-build. 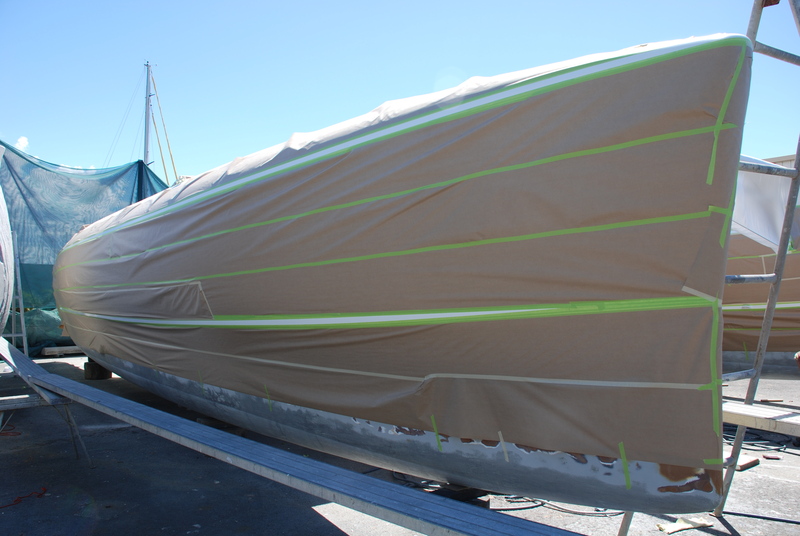 A respray of the entire boat was completed and some pinstriping of the outer hulls. 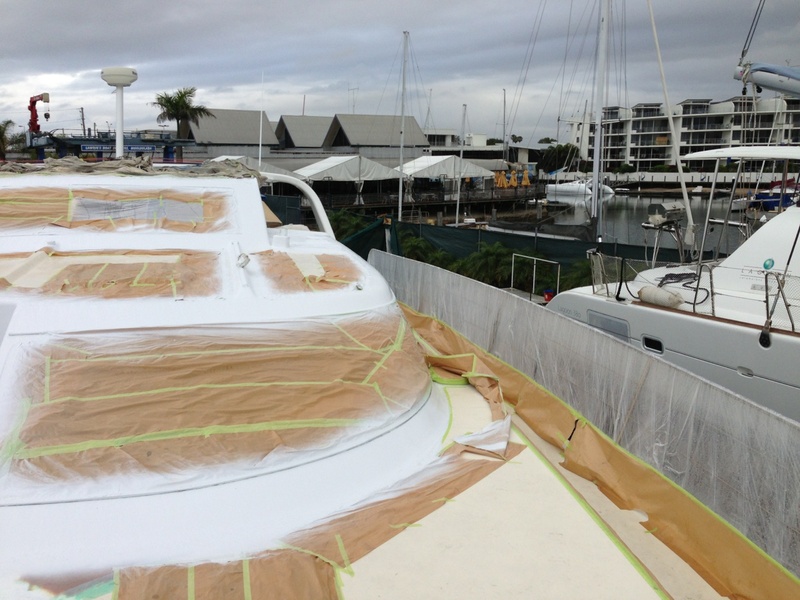 We installed all deck fittings for the client and organised his rig and boom. 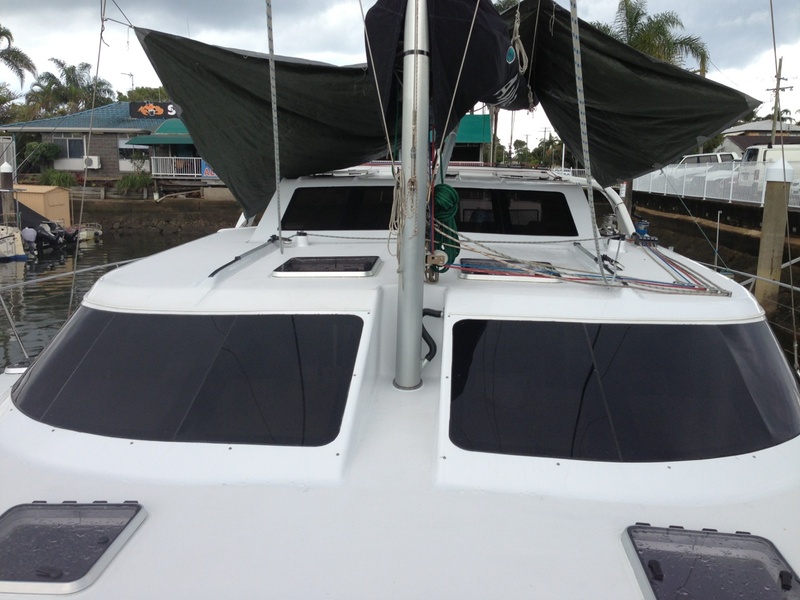 The Tanya Mary came out for a full detail and marine maintenance job. 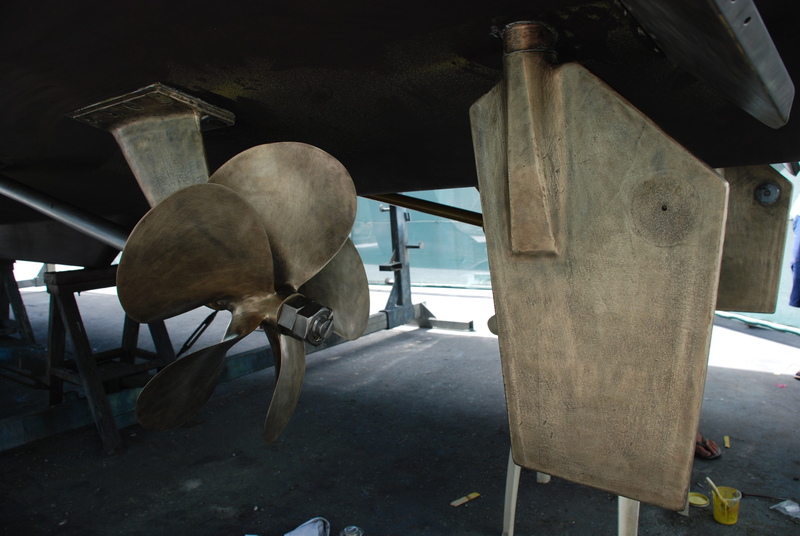 Included was a checkup of, Skeg Bearings, Rudder Bearings, Stern Glands & Skin Fittings. 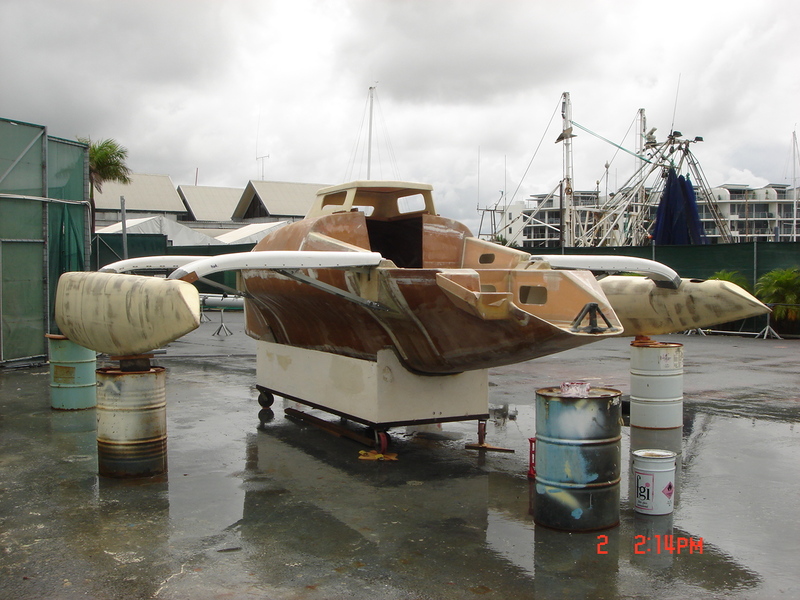 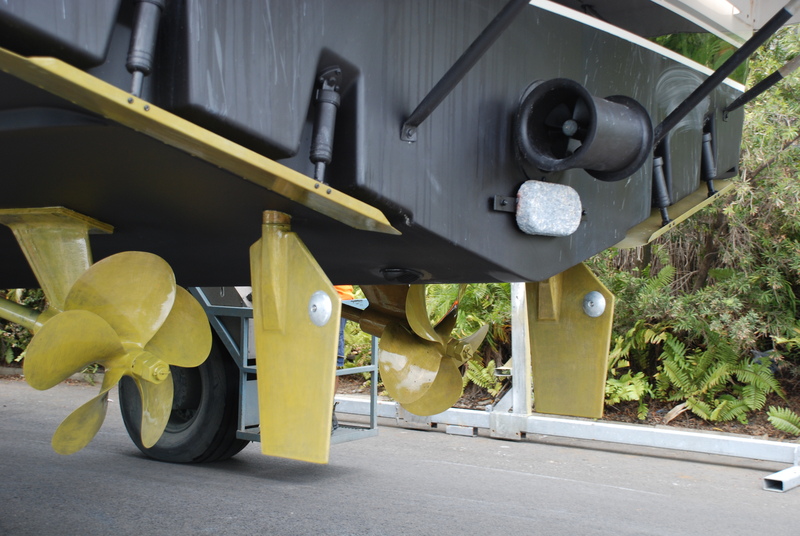 Wire wheel and clean props, shafts, skegs, rudders and trim tabs and re coat with propspeed. 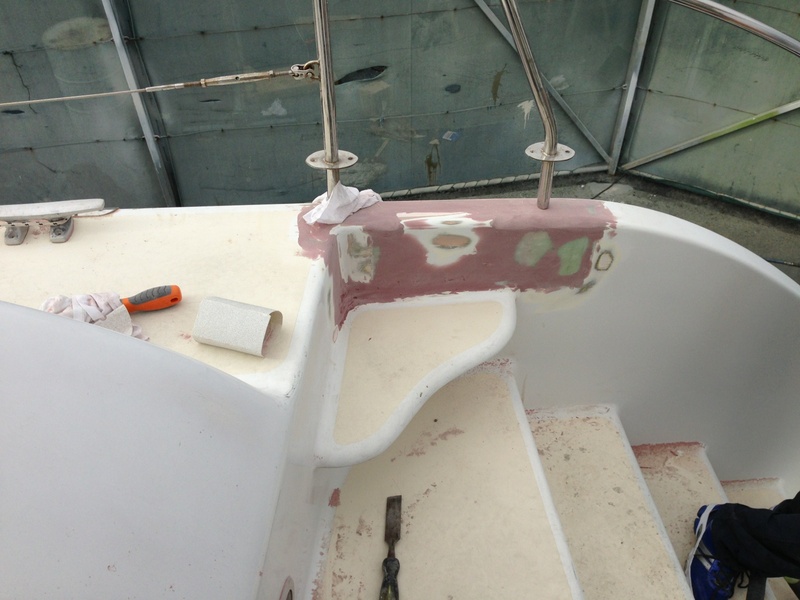 Anodes were replaced for new, and the bottom was re-antifouled. 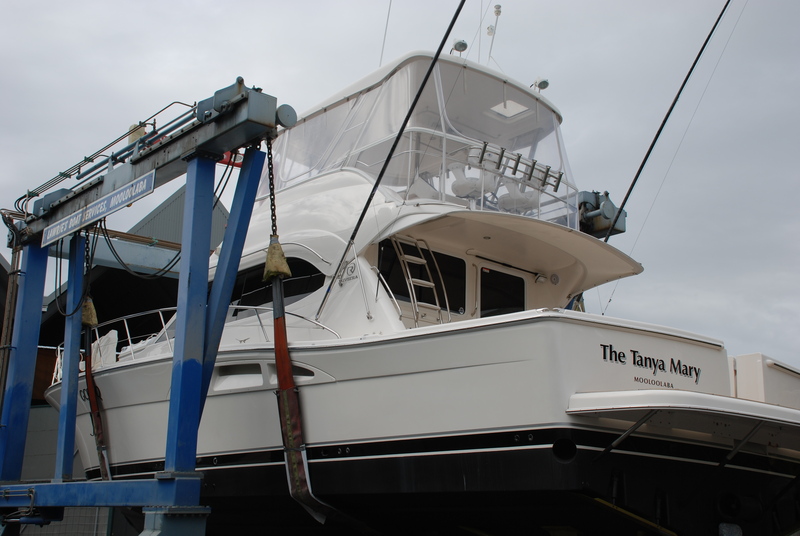 A full detail was completed on the topsides, cabin, cockpit, flybridge and deck area.